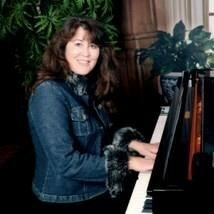 Anne is an award winning pianist serving Los Angeles and Orange County as a Piano Instructor, Musical Theater Director and Director of Worship. With a Bachelor of Music degree in Piano Performance and Masters degree of Divinity, Anne delights in teaching, performing and directing a vast array of musical styles including Classical, Jazz, Blues, Christian, Adult Contemporary, Musical Theatre and more. ‘Oh Me, Oh My, Oh Nehemiah’ – West Coast Premiere, Alexandria House Publishing Co.
Request Lessons with Anne today!